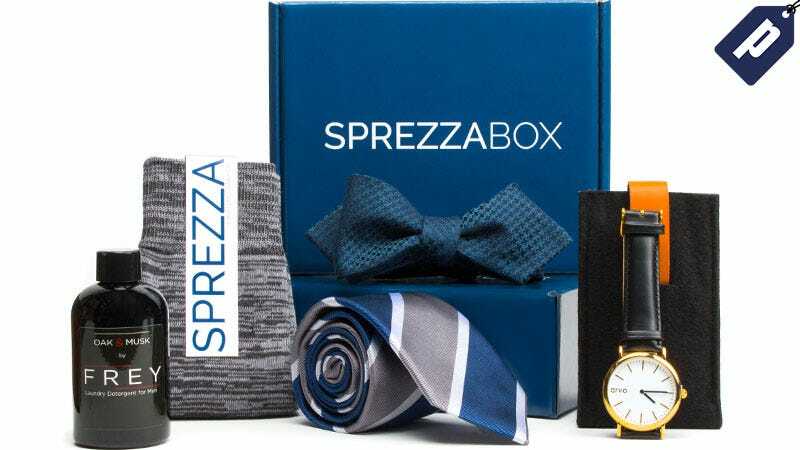 SprezzaBox delivers boxes of men’s accessories customized to fit your style preferences. Sign up for the monthly plan and a SprezzaBox stylist will handpick 5-6 items for you, including socks, sunglasses, wallets, flasks, wine accessories, and more. Buy a box and get the second free with code DEADSPIN, just $28. Full details here. Discount applicable to boxes only.